The list of things Amanda Giese has accomplished is long — but the list of things she wants to do is even more ambitious. The photogenic founder of Vancouver-based Panda Paws Rescue is just 31, but she’s already been a phlebotomist, a vet tech, a nightclub promotions coordinator, and a go-go dancer, complete with boots and cage. "I used to work at Dante's and a lot of the clubs downtown. Glitter everywhere," she laughs. She's also the mother of two, and has plans to eventually fulfill her lifelong dream of becoming a neo-natal surgeon. Of course, that will be in addition to running a small, but well-known nonprofit rescue that caters specifically to pets, many of whom have extensive medical and rehabilitation needs. Feel like an underachiever yet? "Ultimately when [my kids] are in high school, I think I'll go back to college," Amanda muses. "I'm not sure what I'll do at that point, but I would love to be a surgeon of infants and babies." Amanda says she had a calling to work in the medical field from childhood, and landed a job in a hospital while in college. When the birth of her children a few years later necessitated a career change, she ended up working in the ER of a veterinary clinic. It was there Amanda encountered the upsetting discrepancy in care that gave birth to Panda Paws. "My heart just went out to the Good Sams — the stray animals good samaritans bring in," she remembers. "They weren't given the same treatment that an owned animal with money was given." Helping less fortunate pets is a hands-on job for Amanda: thanks to her training, she is also able to assist in surgery. Those procedures range from routine spay and neuter — which Panda Paws funds for hundreds of pets both stray and owned each year — to more challenging cases. "The DVMs I work with always say I bring in the zebra cases, the one-of-a-kind cases," Amanda says. "Like we had a dog that was with anencephaly — born without a brain — that lived for six months." Other "zebra" cases have become media and viral sensations, like London, a Pit Bull who was abused so badly his front legs had to be amputated; Fluffy Shark, a Yorkie puppy Amanda finger-fed and hand-raised from birth; and Duncan Lou Who, a Boxer currently breaking land speed records despite having no hind legs. If that last pup's name sounds vaguely Dr. Seuss-ish, that's not a coincidence. "I love anything Dr. Seuss," Amanda gushes. "I have The Sneetches on my arm. I got that tattoo because if you really read the book, it represents . . . acceptance of others." It's a philosophy she's instilling in the two children Amanda says bring her the proudest moments of her life. "I really press my kids to be who they are as individuals and just go for it and not be afraid. So when they accomplish something, just nail it, I'm like 'Yes!’"
While 12-year-old son Beast is an animal lover like mom, it's her 10-year-old daughter Jade that Amanda sees as next in line to be a rescue star. "She always talks about being a nonprofit veterinarian, so she works for free," Amanda laughs. "But we'll find a way to support that." 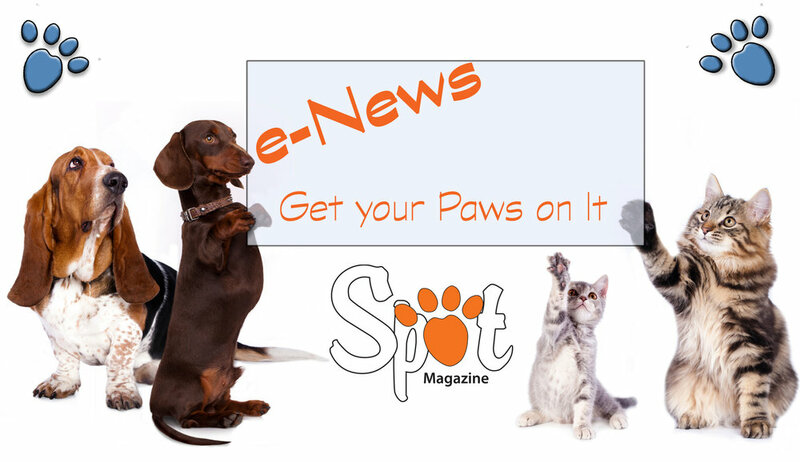 Panda Paws has managed to gain worldwide support primarily due to the incredible stories of the pets it serves. That said, part of the rescue's high profile could also be attributed to the fact that its founder is an articulate, unusual, media-savvy young woman utterly devoted to the hard cases in her care. Which makes her preferred footwear not the least bit surprising: Sam Edelman black tennis shoes with spikes and a side zip. "They mesh well with nearly everything you pair them with — but have a splash of rebel," she says. They're also good shoes for an animal rescuer, a really cool mom, a neo-natal surgeon . . . or whatever Amanda decides to do next. Posted in People in Neighborhood and tagged with celebrity, celebrities, animal welfare, animal rescue, blog. April 6, 2014 by Spot Magazine.